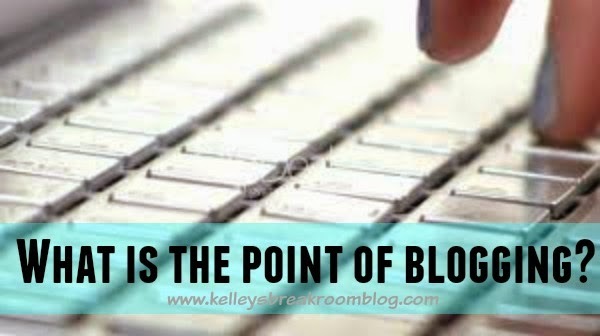 You are at:HomeUncategorizedWhat is the point of blogging? We all have different answers to that. If you don’t write one, maybe you could tell me what the point is in reading one. If you are looking for a quick answer to my question that isn’t “Everyone has different reasons” or “It helps us feel connected and heard and unafraid and inspired and entertained”, I’m afraid I can’t help. My boys are always, “Are you blogging, Mom?” or “She’s probably blogging!” I’m all, “Boys, PLEASE.” My 6-year-old thinks texting is called blogging. I hardly ever blog anymore, especially not when they are awake. They need to get with the program. It’s like when they say to my husband and me, “Don’t fight!” when we are barely having a disagreement. They don’t realize how bad it really could be. Just like blogging, they don’t realize how often I could blog. Once or twice a week? Or even a month? Please. Here I have this blog but sometimes I wonder why. Why do I write these words and why do I care? Over the years, I have loved this blog. I don’t want to let it go and, still, today I want to cling tight to it. A blog is sort of like you being the person at the lunch table and not letting anyone else talk. You just blab, blab, blab away while everyone looks at you. I don’t want to be a blabber. Sometimes I want to drop kick this blog to my old alley way behind the house I grew up in. That same alley way where a truck hit my sister and she flew through the air like a rag doll. In fact, she just had a baby on November 1st. She is more than okay now. She is the happiest I have ever seen her. But, yeah, sometimes? Drop kick this blog is what I feel like doing. Why do I write the dingdang thing? Here’s the deal: I don’t care about going viral. I don’t want to be controversial. I don’t want to capitalize on the latest thing. I don’t want to reveal all my family’s secrets or things the kids are doing that they may not appreciate that I shared when they’re older. Things like that. Zilch desire. Sooooo…here I am, but what is the point of my blog if it isn’t to make me internet rich and famous? And here you are. Still reading. That is why I still write it, I think. You read it even though I am nothing special. I am just a person like you. I’m just writing things down a little more often. I really think I write it because you read it. If I wasn’t here, though, you would read something else. In fact, in a nanosecond, you will be reading something else and you will have forgotten you were here. I know because I do the same kind of thing errrrday. I would feel sad if I let the blog go. So, what is the point of this post? I guess I am just checking in. I’m wanting the cleaning crew here in the Break Room to know I appreciate how often they re-stock the vending machine. I want Rose at the front desk to know I’ve noticed every time she hasn’t forgotten to water the ivy in the macrame holder. I think mostly I’m wanting to be transparent as I contemplate the future of this place. Can I give it what it needs to be a thriving blog? I haven’t updated certain pages in a while. I haven’t written posts about hitting five ducks, getting Chinese foot massages, the lack of female hibachi chefs at Benihana, what I do at Home Depot when my husband shops there forever and ever, sort of meeting Adam Levine (but not really), why Mister Rogers stresses me out, ridiculous shoes worn at Disney World, inventive Ben & Jerry names or Pepto Bismol in a long time. I had more time for inspiration when I wasn’t working outside of the home part-time, carting my kids around to practices so much, navigating the world of two elementary school-aged boys that I love with all of my heart and trying to figure out 4th grade math homework. Do I want this to be a thriving blog anymore or do I want to…not do that? I think I’d miss it. I think I’d miss you. Why do you blog or why do you read blogs? Let’s talk about blogs, baby. Let’s talk about you and me. Let’s talk about all the good things and the bad things that blogs may be. Let’s talk about…blogs.